Summer is prime time for National Park travel, but getting away from the tourist pack isn’t always easy. Thankfully, there are quite a few amazing parks that are every bit as breathtakingly beautiful as the Grand Canyon or Yellowstone. 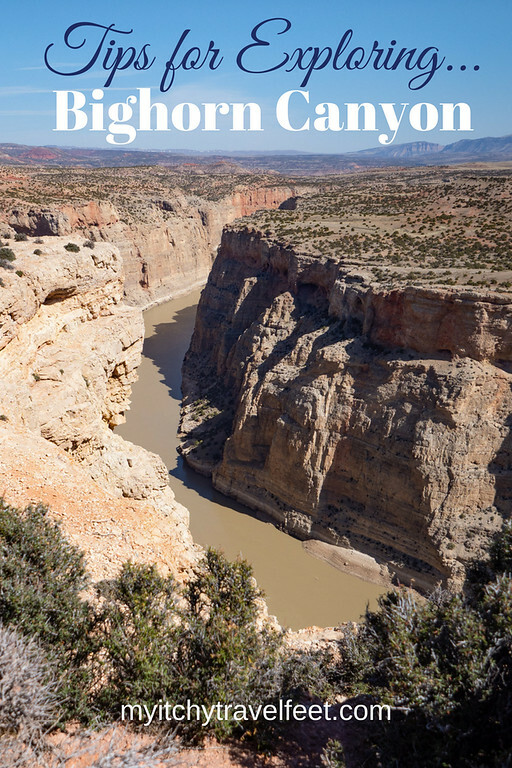 Guest contributor, Teresa Otto from The Nomad’s Daughter, is here to tell us how to explore Bighorn Canyon—a truly spectacular destination for anyone who loves wildlife, scenic views and active travel. 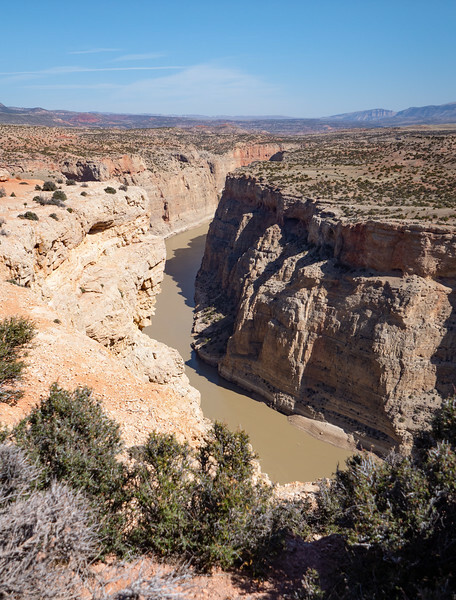 You’ll find this uncrowded piece of paradise on the border of northern Wyoming and southern Montana in the southern district of Bighorn Canyon National Recreation Area. In 2017, Yellowstone National Park hosted four million tourists. Four million folks vying for a front row seat to view Old Faithful geyser. Four million people trying to capture a photo of a bison or bear with no one else in the frame. Four million people. 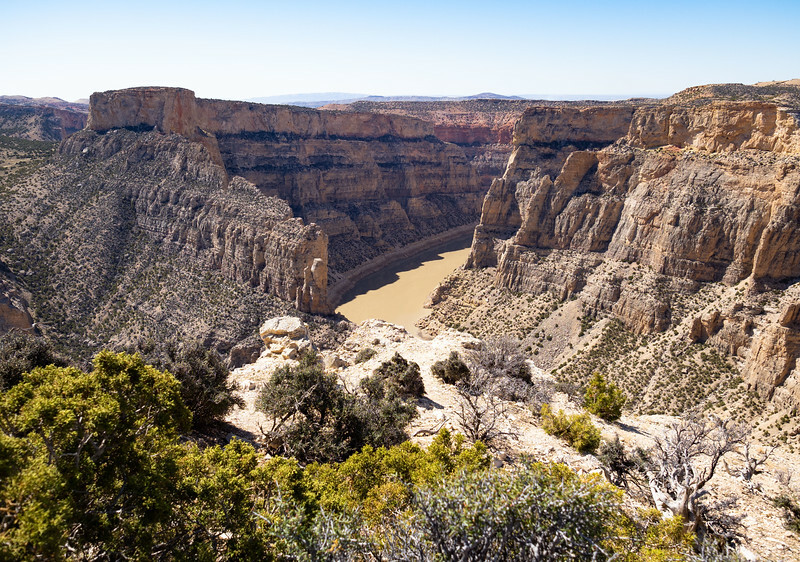 If you’re into gorgeous views and wildlife, Bighorn Canyon is definitely for you! But if you travel east of crowded Yellowstone, you’ll discover a wonderful area for experiencing the rugged beauty of a tumultuous past, the smell of sagebrush, the sound of echoes bouncing off canyon walls, and the lingering sacredness of ancient people. 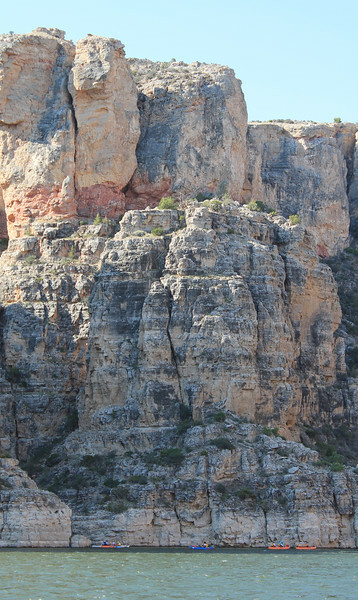 This unspoiled, untamed land is the Southern District of Bighorn Canyon National Recreation Area (official website). Located roughly between Billings MT, Sheridan WY, and Cody WY—and still part of the Yellowstone ecosystem—this 188 square mile park welcomed just 250,000 people in 2017. Now that’s elbow room. The quote “Spectacular Views, Endless Opportunity” from Bighorn’s website completely sums up the rewards of visiting. The view: one of the top five largest canyons in the US and evidence of the canyon’s early inhabitants. 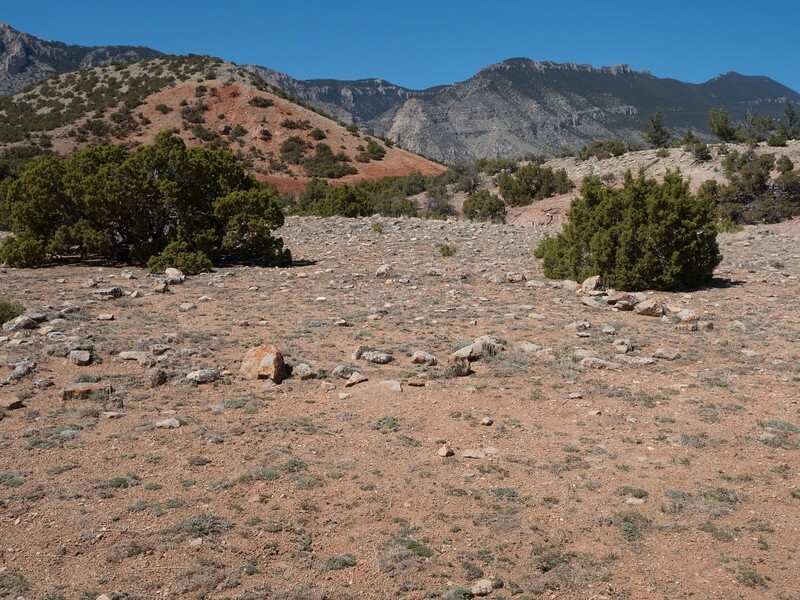 The opportunity: hiking a trail you have all to yourself, exploring the canyon from a boat or kayak, and seeing wild horses and Bighorn sheep for which the canyon is named. 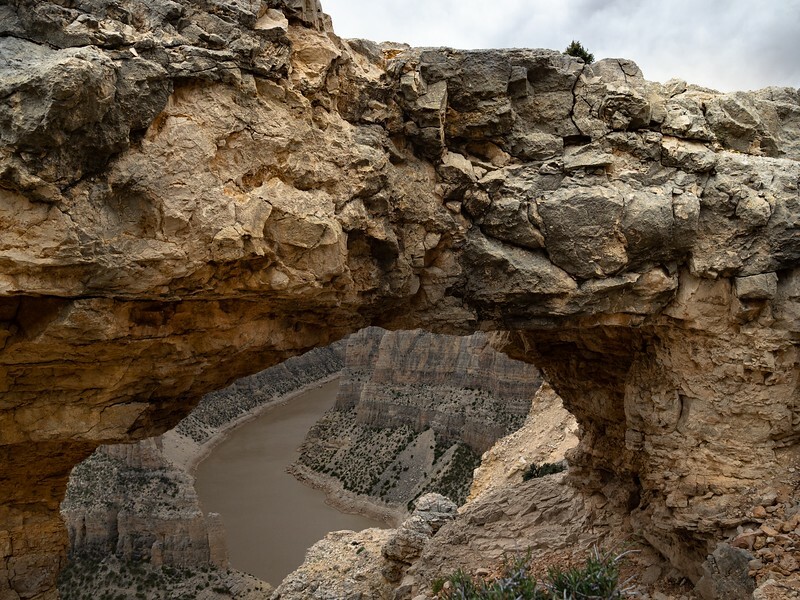 The iconic Arch with a View of the Muddy Bighorn River in the background. No matter how you plan to explore, stop at the visitors’ center near Lovell, Wyoming. There you’ll find maps, educational videos, and well-informed park rangers. On the subject of history, Todd tells the origins of Highway 37 entering the park. This road was originally an animal trail. Ancient people following animals used the same path 10,000 years ago. Fur traders and European settlers later traversed this dangerous route, aptly named Bad Pass Trail. Now paved, it’s the only road into the Southern District which is eleven miles northeast of Lovell. The five million-year-old canyon was created by the upheaval of the Pryor and Bighorn Mountains and eroded by the Bighorn River. Two spots provide the best views of the 38 million years and 1000 feet of layered tan, orange and gray rock that forms the canyon walls. The first is Devil’s Canyon overlook. If you don’t mind a bit of a scramble, an unmarked, steep, shale path on the south side of the parking lot entrance leads to a view of the iconic arch framing the canyon behind. Exercise caution on this short path. A mile north of the Devil’s Canyon turnoff, Sullivan’s Knob Trail offers a view of the massive canyon’s grandeur via a moderate 0.75-mile hike. Give a shout-out to the canyon while you’re here. It answers back. Two Eagles Interpretive Trail is a glimpse into the human history of the canyon. Interpretive signs or audio downloads bring the area to life. To walk 10,000-year-old paths among tepee rings is a privilege that could never be enjoyed at an over-crowded park. A Teepee Ring depicts the area’s long history. Rangers are happy to advise you on the ten additional trails and bear activity. It’s best to make some noise on these remote trails, to bring water, not food, and to carry bear spray (order it here). Other hazards to be aware of are rattlesnakes and poison ivy. Personally, I’d rather run into the ivy. 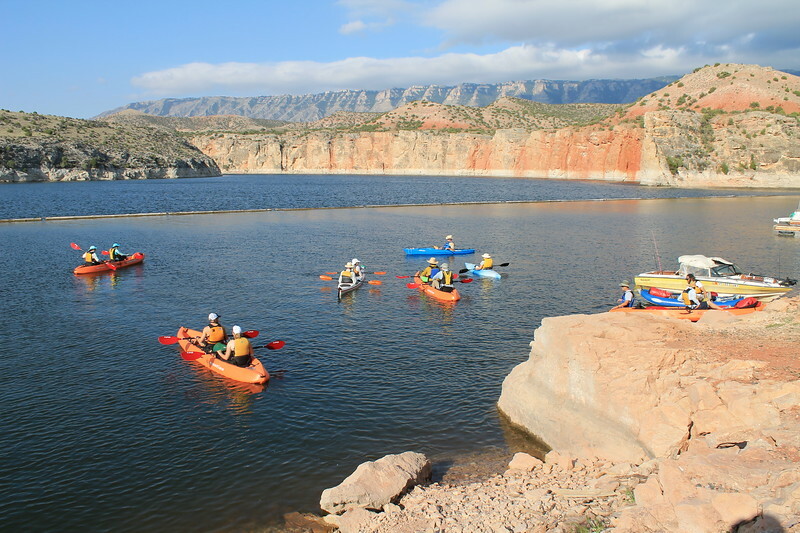 Bighorn Lake satisfies water-lovers with boating, kayaking, and fishing. The Southern District hosts two marinas—Horseshoe Bend Marina and Barry’s Landing. Horseshoe Bend Marina offers paddle boat rentals and scenic boat excursions during the summer. Park rangers lead free half-day kayaking tours on Saturdays between June and early September. Paddling in the shadow of the canyon walls offers a unique perspective but makes you feel a bit small. The park posts these trips (as well as educational events and spectacular photos by Todd Johnson) on their Facebook page. Because spots fill quickly, it’s best to contact the Visitors’ Center for dates and sign up over the phone immediately. The weather-dependent launch site and time are emailed the day before the trip. No experience is needed. Another option: book a scenic boat tour. It’s a wonderful experience to slowly kayak past the towering walls of the canyon. I treasure the wildlife here. 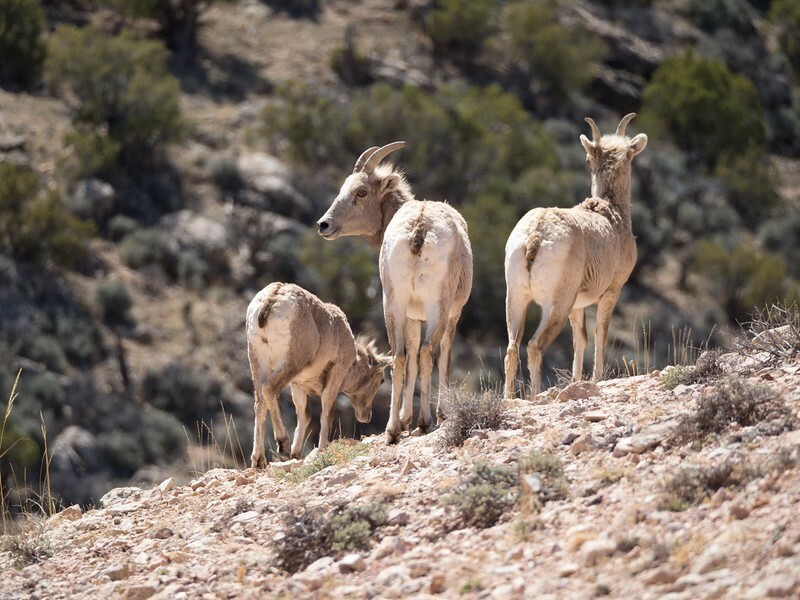 Fall is a perfect season to see Bighorn sheep and wild horses as they return to lower elevations after spending summer in the cooler mountains. Bighorn ewes nonchalantly graze at the highway’s edge. Three Bighorn Ewes grazing on the landscape. A small group of Pryor Mountain wild horses, nicknamed the “Welcome Herd” often congregate near the entrance of the park. They’re not particularly spooky around people, continuing to groom and nuzzle each other despite an audience. Solo stallions graze throughout the park. 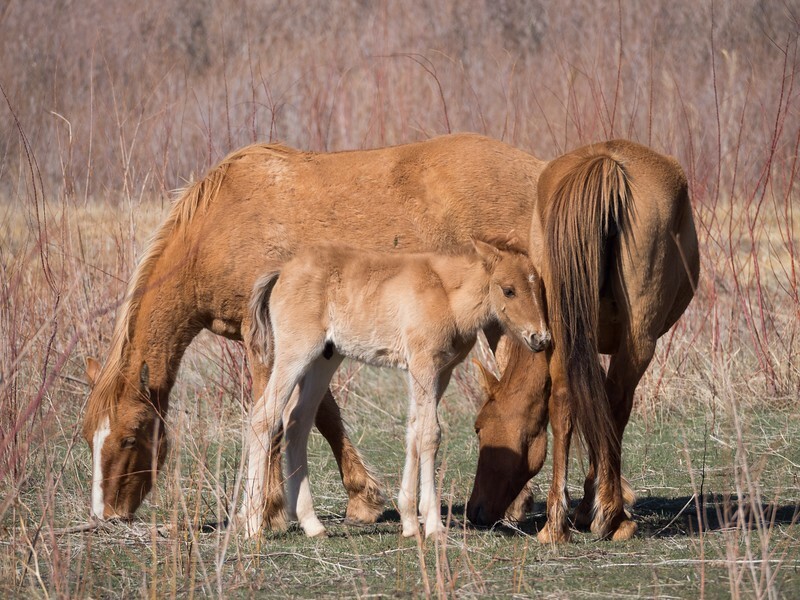 We loved seeing the wild mares and colt graze. Mule deer and coyotes can often be spotted, too, but you’d be very lucky to see an elusive cougar or bobcat. Birds are abundant with golden eagles, meadowlarks, red-winged blackbirds, bluebirds and great horned owls calling it home. 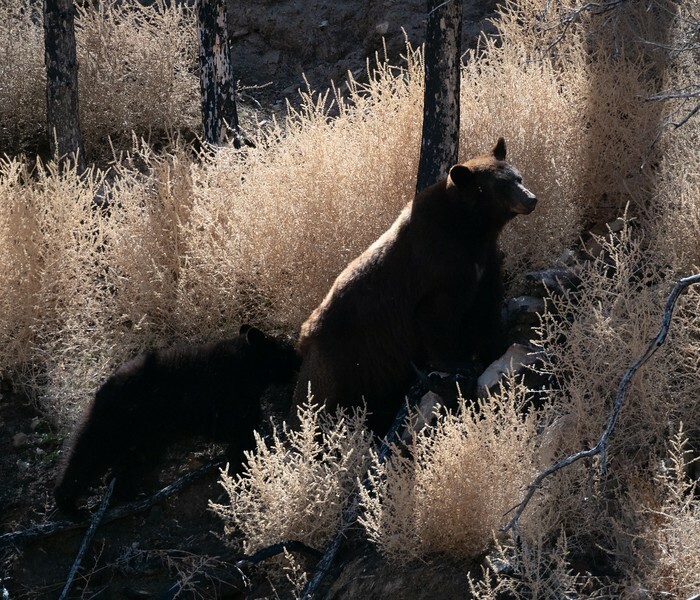 On a recent Bighorn Canyon visit, I watched a black bear sow and her two cubs foraging near Barry’s Landing. No crowds counting the bears, it was just the three of us. Our jaws dropped when we saw these beautiful creatures! Finally, the Bighorn River is a fly fisherman’s ‘died and gone to heaven’ place, teeming with rainbow and brown trout. The catch of the day on Bighorn Lake can be walleye, perch, catfish or trout. Know where to go with the Wyoming Benchmark Road & Recreation Atlas. Includes roads, trails and public land information. Entrance to the recreation area is free. The park has no gas stations, hotels or motels but does have a snack bar (Horseshoe Bend Marina) and four campgrounds (two are boat/hike-in only). The campgrounds do not accept reservations. Limited lodging is available in Lovell, WY. Check here for hotels in Lovell. The Northern and Southern Districts are not connected by any roads. 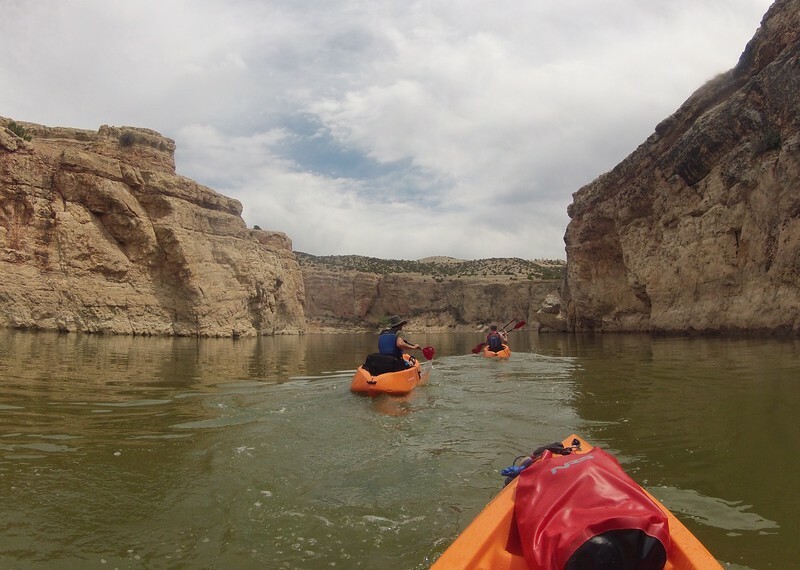 Have anything to add to our recommendations for exploring Bighorn Canyon? Come join the conversation at the My Itchy Travel Feet page on Facebook. Or send us an email with your thoughts. Teresa Otto is a freelance travel writer, photographer and pediatric anesthesiologist. After growing up in Montana, she has lived in Washington, New York, Kentucky, Hawaii, Germany and Kuwait. While she intends to see much of the world while traveling off the beaten path, Montana will always be home. You'll soon be able to keep up with her travel adventures at The Nomad's Daughter.com. Meanwhile, check her out on Instagram, @teresaotto_thenomadsdaughter.